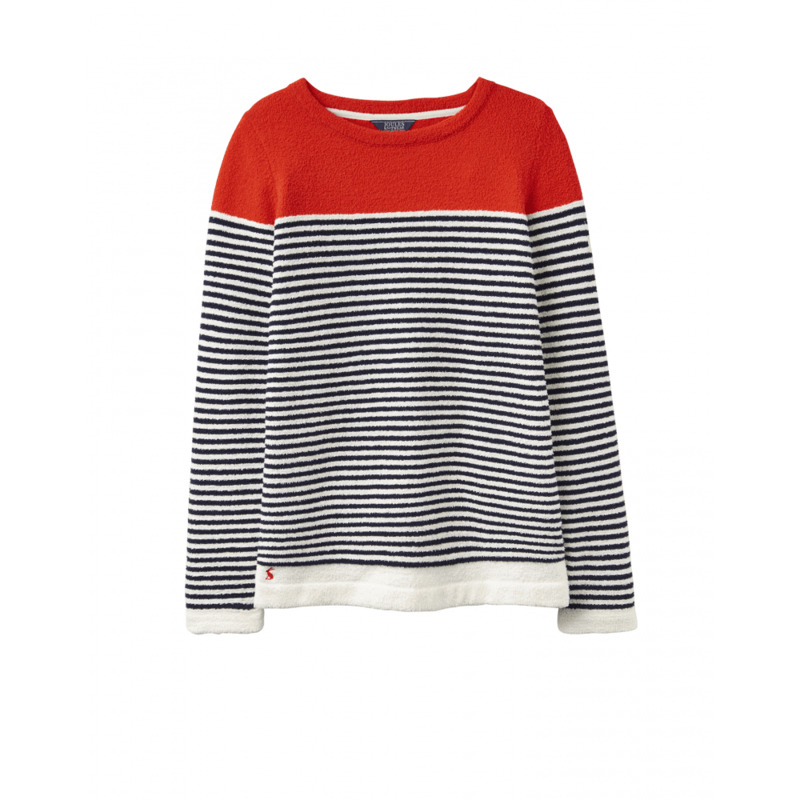 Joules Seabridge Womens Chenille Jumper - Navy Creme Red. This relaxed fit ladies jumper features full length sleeves, a round neck and ribbed hem and cuffs. Made with a soft feel yarn made from 100% Polyester.